Moving from NJ to Fort Worth for a career or family is a major transition. You'll want to find the right mover to ensure that your property is treated well during the relocation. As professional movers since 1977, Simonik Moving & Storage is the ideal choice for you. Our commitment to quality service has made us an award-winning, BBB-Accredited business. 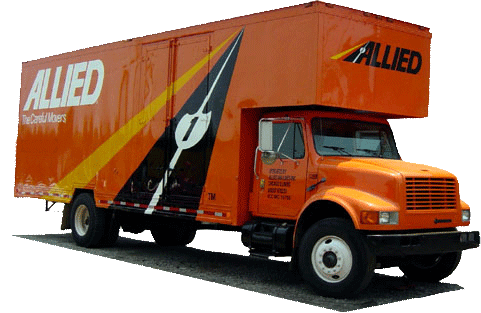 Plus, we're also agents for Allied Van lines, making us a member of a national network of hundreds of moving and storage specialists. We'll be able to handle your move to any location in the United States. Are you not quite ready to move into your new home? When you have moved from New Jersey to Fort Worth, but still don't have the house prepared for your furniture, you can take advantage of our short- and long-term storage options. We pack all of your items in containers designed for long-distance shipping, and keep them in our secure warehouse facility. You'll be able to keep your household goods in our warehouse for any length of time. As a previous recipient of the 'Mover of the Year' award from the New Jersey Warehousement & Movers Association, we're more than capable of managing your move from NJ to Fort Worth. Plus, our ProMover membership with the American Moving and Storage Association allows us to stay informed about any special requirements involved in a long-distance move. Are you thinking about making a big change in your life? Call Simonik Moving & Storage to ask about our NJ to Fort Worth moving services. You can use our online quote form to request a free, no-commitment necessary moving estimate!